Being prepped up when it comes to having enough of the right gear on hand is crucial if your new to exercise or struggling to make it a habit. 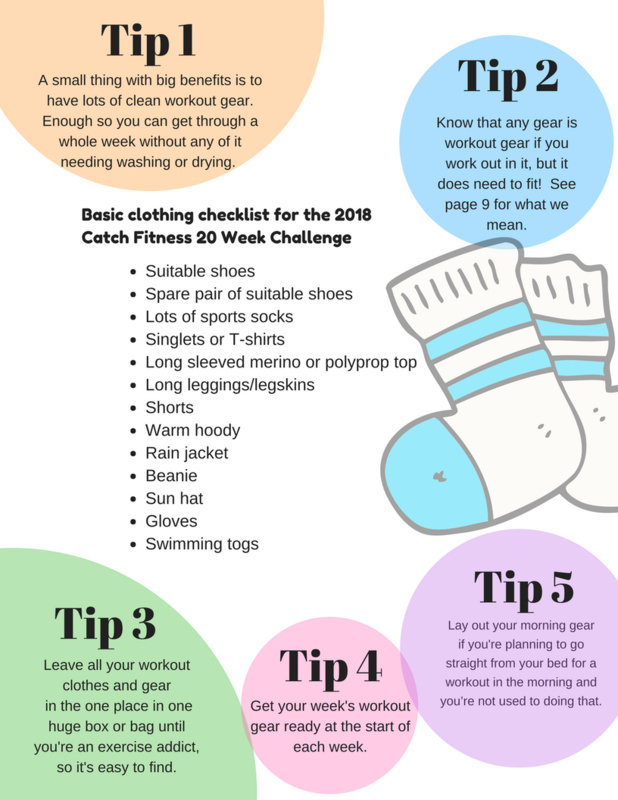 Use our quick Exercise Gear checklist together with 5 Top Tips on what to do with it all to help get some momentum going. Balance. Do you need more of it? A look at how many people entered this category in 2017, why to enter it and some tips on how to win it. A collection of tips we’ve received over the years, all rolled into one. To do one or not? When, where and why? What’s the benefit? Get our low down on why we think it’s a good idea, check out the template and then stay tuned for ideas on how you can tweakafy it to get to your goals faster. © Catch Fitness & 20 Week Challenge 2008-2018. All rights reserved.